Ray Bradbury was born on August 22, 1920 in Illinois. He was an American author, essayist, screenplay writer best known for his novel Fahrenheit 451 and his series of short stories entitled The Martian Chronicles. At the age of fourteen, his family moved to Los Angeles, California. He went to school there, but after graduation he did not go to college due to a lack of fund. From a very young age, he enjoyed writing and would write stories almost every day. 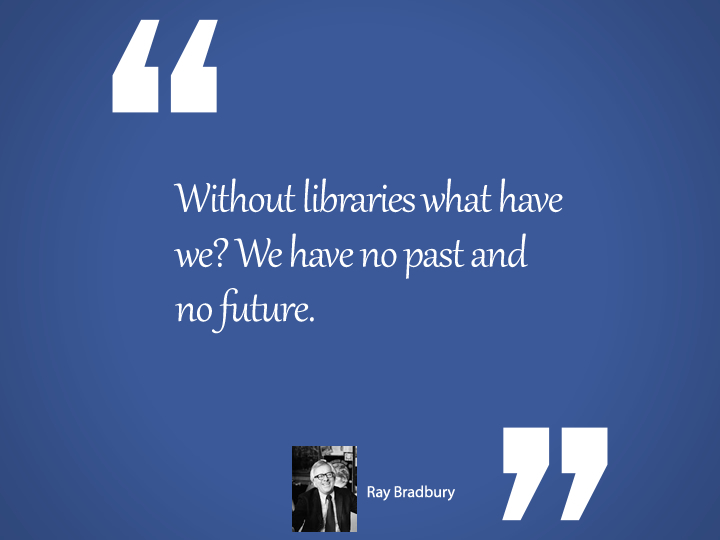 In Los Angeles, Bradbury would spend a lot of time in the library. He got a job selling newspapers while he would work on his writing. In 1950, his collection of short stories, The Martian Chronicles, was published. Three years later, He published Fahrenheit 451 which became a success. The novel, depicting censorship and lies in a dystopian society during the McCarthyism, has become a classic since first published. With the rise of alternative facts and news manipulation, Fahrenheit 451 has become a critical reading in the Trump era. Ray Bradbury passed away on June 5, 2012, at the age of 91. You’ve got to jump off cliffs and build your wings on the way down. Americans are far more remarkable than we give ourselves credit for. We’ve been so busy damning ourselves for years. We’ve done it all, and yet we don’t take credit for it. Love is the answer to everything. It’s the only reason to do anything. If you don’t write stories you love, you’ll never make it. If you don’t write stories that other people love, you’ll never make it. If you don’t like what you’re doing, then don’t do it. You can’t try to do things; you simply must do them.